Personal Training is exactly that...PERSONAL. Jason wll be able to create individualzed plan for you based on your goals, needs, injuries and other factors. He will gather all the necessary information and create a plan based on where your are starting and where you need to go. He will customize an enjoyabe, challenging and extremely rewarding experience for you. In order for you to succeed,you should be having fun! His expertise will create a goal-based program that motivates you every step of the way. To Jason, you are not just a client. You are part of his family. Jason really cares about your well-being and he will work with you on a personal level to help you achieve these goals. 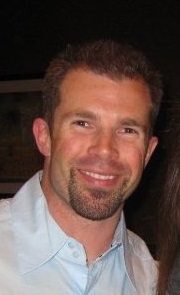 He has extensive experience with athletes from numerous sports and those recovering from injuries. He has worked with novice, recreational and professional individuals from various walks of life. His new certification has made him an expert in Chronic Pain Therapy. Kinetix Fascial Integration is a unique approach to permanent pain relief without the use of drugs. Live life like there is no tomorrow, but train your mind and body for a million tomorrows. Having too much of a good or bad thing can have negative effects on your life. Working too much or too much stress can have obvious negative consequences. On the other hand, so can having too much of a good thing. Creating a healthy lifestyle and balancing the opposing forces in your life will bring you harmony.